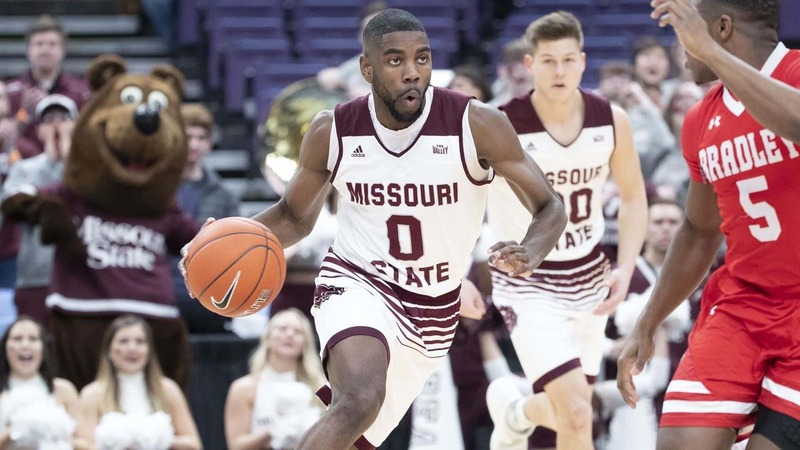 The Missouri State Bears’ season ends with a 61-58 loss to Bradley in the quarterfinals of the Missouri Valley Conference Tournament. The Bears were seeded at No.4 in the tournament in St. Louis. ST. LOUIS – No. 5 seeded Bradley held Missouri State scoreless for a key four-and-a-half minute stint late in the second half and then held off a late challenge by MSU down the stretch to slip out of Enterprise Center on Friday with a 61-58 upset win over the Bears in the quarterfinals of the Missouri Valley Conference Tournament.